Hardcover, 6.75 x 9.5 in. / 96 pgs / 85 color. Edited by Ludwig Seyfarth. Text by Marion Dufour, Heike Fuhlbrügge, Ludwig Seyfarth, Tristan Trémeau. 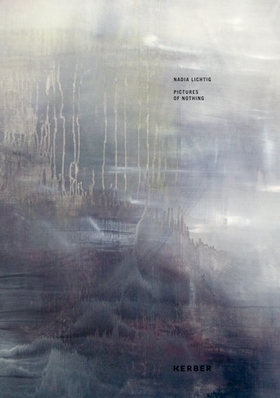 Pictures of Nothing surveys the most recent work of German artist Nadia Lichtig (born 1973), who works in both visual art and experimental music. Influenced by these different modalities, Lichtig's abstract paintings are comprised of muted swaths of color and carefully distributed lines. FORMAT: Hbk, 6.75 x 9.5 in. / 96 pgs / 85 color.